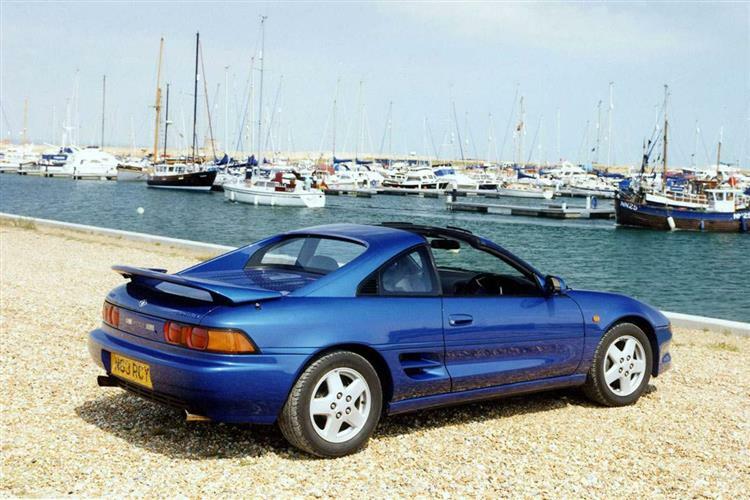 The Toyota MR2 was the car that originally turned the affordable sports car market on its head. Before it was launched in 1984, two seater mid-engined sportsters had been strictly for those on six-figure incomes. Toyota changed all that, enabling the ordinary man to afford something which in terms of specification, if not in looks, was truly exotic. On the road, the car was a revelation, one of the few that you just couldn't bear to see sitting idle in the driveway. A car which begged to be driven hard. Owning one was one of those rare pleasures in modern day motoring - a real driving experience. Ordinarily, you needed either a pipe dream, a pools win or a fairy godmother bank manager for that. 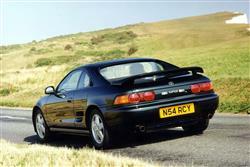 The MR2 was the affordable exception. Though it's now anything but affordable new with prices starting at just over £18,000 for the third generation mid-engined open top roadster launched early in 2000, many old-shape first and second generation coupe versions are on the used market at realistic prices. As ever with a sports car, you need to buy carefully. Launched in 1984, the original MR2 was fitted with a 1.6-litre, 16-valve, 122bhp mid-mounted engine driving the rear wheels. There was also a T-Bar version with distinctive removable smoked glass panels, offering open air motoring with complete safety. A sleeker new-shape car was launched in 1990, equipped with a larger 2.0-litre engine. Initially, lower-powered manual and automatic versions were offered (recognisable by the lack of a rear spoiler) as well as the GT and T-Bar. These were dropped at the time of a minor facelift in March 1994, leaving just the GT and the T-Bar with standard 171bhp engines and ABS. An all-new roadster model was launched early in 2000. Smaller and lighter than its rather bloated predecessor, it was based around the Celica's new 1.8-litre VVTi engine, again mounted midships. Luggage space and 'frills' were both at a premium; this car was again for driving enthusiasts. A rewarding mid-engined sportster destined to become a classic. The second generation version died prematurely but the latest one is so different you can expect values to remain firm, at least for a while. The original shape is purposeful but rather dumpy. Second-generation cars are reasonably plentiful and have that little-Ferrari look though some criticised it for putting on bulk and weight. Certainly, for a weekend away, it has more luggage space than its successor, though. The older 1.6-litre cars needed to be worked hard, so you may find that the doubele-cam, 16-valve engine has been thrashed. All MR2s have a tendency to go straight on in the wet, so check for accident damage. Misfires, clashing gear changes, failed electric windows, blocked exhausts and brake judder are all common ailments. Be careful of 'grey import' cars: they may offer great value but make sure you know what you're buying. Importers may offer you automatic and turbocharged versions but will you be able to get parts? 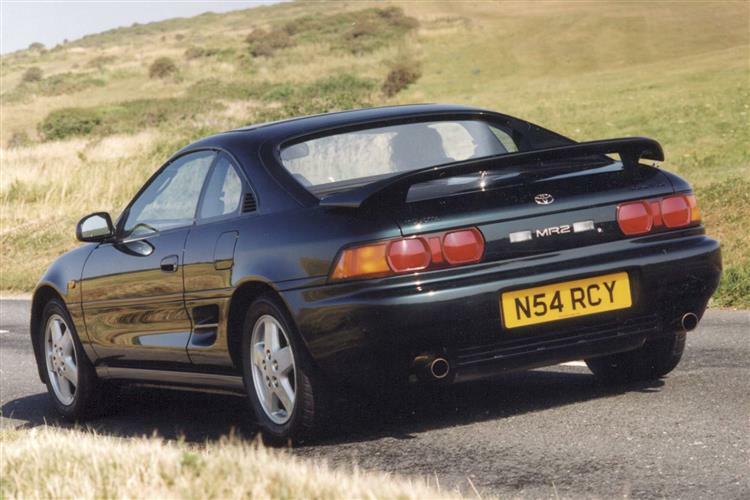 (approx based on a 1995 MR2 GT) A clutch assembly should be around £150, a rear box for the full exhaust is around £285 (a front pipe is around £150). A starter motor should be close to £185 and a radiator around £255. Brake pads at the front are about £45 a set. A door mirror is close to £75. Major and minor services are around £115 and £195 respectively. If you're searching for the ultimate affordable sports car, then this must be it. Buy carefully and enjoy.